Sunderman Spotlight: Chelsea Ferraro | The Gettysburgian. The ability to be in so many ensembles and be involved through working or PLA hours, and getting to know people through all of those experiences. You learn from all of these people and become a better musician and a better teacher. And I love that all of the professors know you, even if you haven’t had a class or lessons with them. You still have the opportunity to connect and learn with them. I picked up a lot of leadership roles that will help me in teaching. Additionally, I have seen a variety of professors go on sabbatical or retire, and I have gotten many different perspectives and many experiences from them and their substitutes to learn from as a future music educator. I would like to teach high school band, but I would be happy teaching in any area of music education. And I would be comfortable teaching in any area because the program here has given me many opportunities to expand my comfort-zone, including methods classes and extra secondary lessons. I will be playing works by Herbert Lincoln Clark, Eric Ewazen, Johann Baptist Georg Neruda, and two works for brass quintet from the Canadian Brass Catalogue; With a Little Help from My Friends by the Beetles, and Killer Tango. My favorite thing about my program is that it stars with a piece that was first introduced to me in high school, so it allows me to showcase my growth over my time here. Also, I play a variant of my instrument, the Eb Trumpet. And finally, I connect strongly with “With a Little Help from My Friends.” I wouldn’t be the person who I am today without the people who I have met, and many of the people playing with me on my recital are good friends of mine. So the song is very truthful to me. Take every opportunity that is presented to you, but know your limits. Keep time for your mental and physical health. You will have plenty of time to experience everything at least once. You do not need to do it all in one semester. College will fly by so get as much as you can out of your professors and musical experiences. But don’t forget to build friendships and create memories as well. 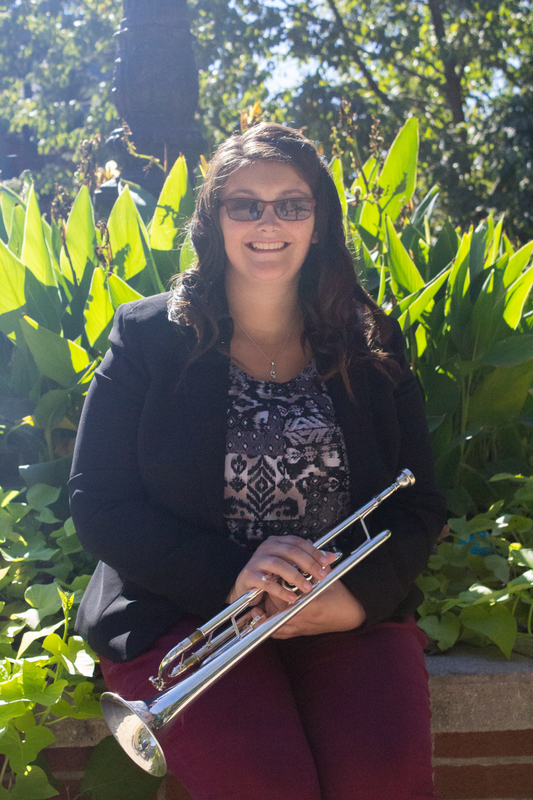 Chelsea’s senior recital is on December 3 at 3:30pm in Paul Recital Hall, Schmucker Hall.